Preheat oven to 325°. In a saucepan, heat cream and amaretto until bubbles form around sides of pan; remove from heat. In a large bowl, whisk eggs, egg yolks and 3/4 cup sugar until blended but not foamy. Slowly stir in hot cream mixture. Stir in vanilla. Place six 6-oz. broiler-safe ramekins in a baking pan large enough to hold them without touching. Pour cream mixture into ramekins. Place pan on oven rack; add very hot water to pan to within 1/2 in. of tops of ramekins. Bake 20-25 minutes or until a knife inserted near the center comes out clean; centers will still be soft. Immediately remove ramekins from water bath to a wire rack; cool 10 minutes. Refrigerate until cold. 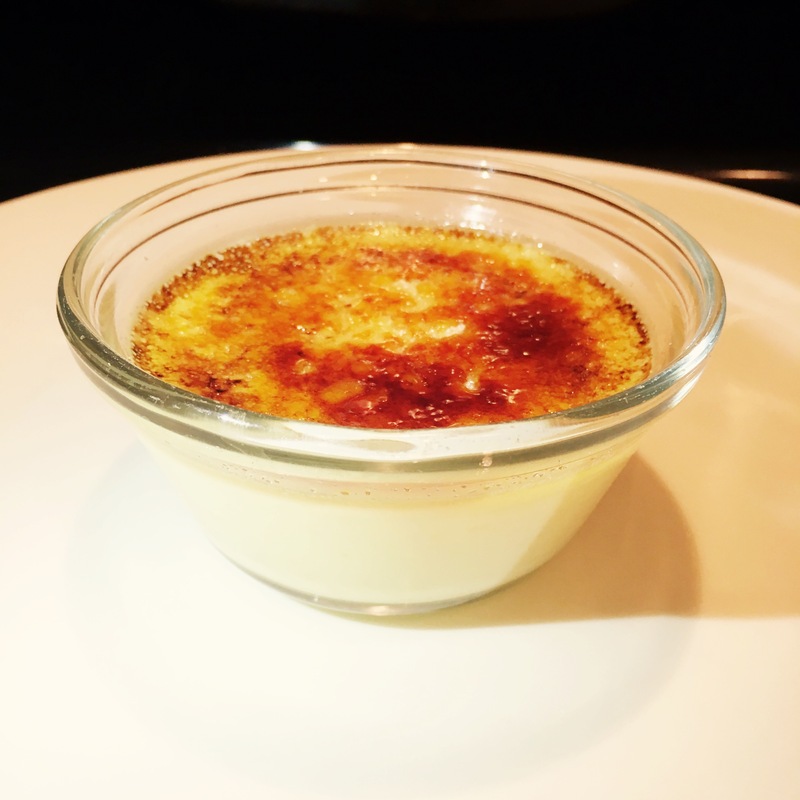 To caramelize topping with a kitchen torch, sprinkle custards evenly with remaining sugar. Hold torch flame about 2 in. above custard surface and rotate it slowly until sugar is evenly caramelized. Serve immediately or refrigerate up to 1 hour. You can also use the broiler to caramelize the top.